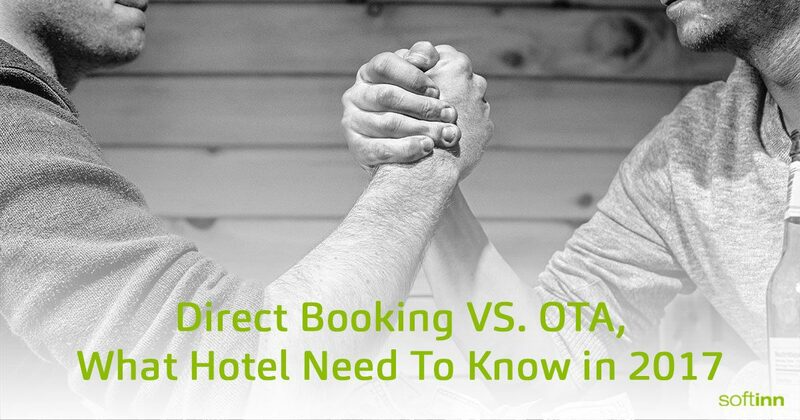 The relationship between hotels and OTA has always been complicated. OTA or Online Travel Agency, in this case, a website which has all the vital information a traveller need to book a hotel, homestay, lodge or a place to stay. OTA is fully dedicated to travel industry and some examples of OTA are TripAdvisors, Agoda, Expedia, Trivago and many more. Nobody can deny the impact and influence OTA has had on global travel and hospitality, connecting millions of travellers to hotel rooms online every year. OTAs became powerful and efficient by making the journey of booking a hotel less of a hassle for travellers. Travellers can check for hotel reviews, search for interesting places nearby and even look at different pictures taken by travellers for a review before they decide to travel there. The Power And Influences Of OTA. What It Means to Hotel. How Major Hotel Chains Are Reacting. The world’s travel industry is worth more than $2.5 trillion USD and is currently the fastest growing sector. There are more than 10 million searches related to travel are carried out in Google Search per month. Based on 10 million searches, an estimated 3 million web traffics are going into top 10 OTAs alone. TripAdvisor.com is the leading travel site and OTA for the industry. In 2016 year alone, it generated almost 1.1 billion visits to its site. Expedia spent 4.3 Billion USD in advertising alone in 2016, an increase of almost 1 billion USD from 2015. Priceline Group spent 3.5 Billion USD on marketing. Priceline Group consist of Booking.com, Priceline, Agoda, Kayak and many more travel related companies. 85% of travellers said PRICE is the most important factor when determining where to book according to a survey by Google. Biggest online travel agency in the world. Brands include Booking.com, Agoda, Kayak, Momondo, Booking Suite. Dominant in Europe and Asia, controls about 62% of Europe market. Started in 1996 as a division of Microsoft. 20 brands under its name including Hotel.com, Trivago, Travelocity, HomeAway, Expedia.com and Orbitz. Controls about 75% of the US market. In 2015 Ex-CEO of Expedia, Dara Khosrowshahi (current CEO of Uber), received $94.6 million in compensation package and is one of the highest-paid executives among all publicly traded companies in the US. Anyone who is not familiar with the online travel landscape may be under the impression there are tens, if not hundreds of websites to go to when booking for hotels. The truth is many websites are owned by the same company and the two dominant companies are Priceline and Expedia. They are the two largest OTAs in the world and they have been around for 20 years. OTA was seen as a convenient distribution channel where hotels and airlines could sell extra inventory. Back in the days, online distribution was not really a priority. In the early days, hotels sold to wholesalers, who sold to tour operators who sold to travel agents and finally to travellers. The problem with this system is the transparency, nobody knows how much was being paid. When OTA entered the industry, it gave control back to the hotel and guest how much was they were getting. Fast forward to current days, technology has shifted the pattern of how travellers made a booking while travelling and this is where OTA’s shine. They have been focusing on leveraging the power of technology where it is considered too costly and complicated for small and medium hotels. OTAs help hotel and homestay owner to solve distribution problem by helping them to sell a certain percentage of rooms on their platform. Before you (a hotel, homestay or lodge owners who list your property on OTAs) rejoice. Let’s take a look at why you should be cautious of putting too much egg in one basket or depending too much on OTA to bring business for you. OTAs invested heavily in digital marketing and digital advertising to lure web users to their sites. This creates a Billboard Effect that works in OTA’s favour. Most travellers search accommodation by going through the huge list of hotel and homestay collection in OTA website, this habit is shaped by the huge marketing effort done by OTAs throughout the years. That is why OTA brand is so well-known and acknowledge by travellers because it gives them options to choose the accommodation that is most suited to them. As the numbers of merchant grow and OTA became increasingly dominant, they began to alter their business model. According to Hotelogix, Large hotels were offered lower booking commissions while smaller independent hotels were paying higher. The reason is larger hotels have more rooms to sell and can negotiate with OTA to lower their commission so that they allocate more rooms to sell on OTA. Besides that, the commission paid to OTA by hotels will not remain forever, the higher the commission your hotel pay, the better ranking your hotel position will be in OTA website. OTA contract often stipulate that hotels can’t market to customers that booked directly with the OTA. Last year, Booking.com stated that they will no longer provide hotels with customer emails. To have a piece of customer information is important for hotels as the best customer relationships come when you are able to engage with them sooner rather than later. The customer experience started long before a traveller check-in to the hotel to create a memorable holiday experience. Losing the control of the customer’s data means losing the connection and relationship that is unique to hotels. OTA vs Hotel Brand (direct online booking) ratio fell to 51:49 in the year 2016, compared to 46:54 in 2012 according to PhocusWright. They also stated that hospitality is the ONLY travel sector in which OTAs are gaining share at the expense of independent hotel brands. Direct online revenue from the airline, car rental and cruise sectors are all increasing at the expense of OTA. Hilton Hotel made sure the message was passed to the public by putting their video advertisement in front of 25 million viewers during the 2016 Grammy Awards. The company said the “Stop Clicking Around” campaign is its biggest yet in the company near-100-year history. The company said 1.6 million free nights went unearned in 2015 because of bookings made through third party sites. They aim to offer benefits such as lower price, free wifi, digital key, and points for those who book directly with them. Marriott launched an entirely new campaign in 2016 called “It Pays To Book Direct”. The hotel chain has spent more than $1 million in 2016 in marketing this campaign, including having Youtube personality Grace Helbig to appear in their advertising video. The hotel’s ultimate aim is to influence users to book directly through their own hotel website instead of OTA to get better rates or benefits. Starwood (parent company of St. Regis, Westin and Sheraton) stated in their own direct booking hotel website that the hotel will match any rates that are lower than their own website, as well as free internet and other benefits that are not offered if guest book through OTA or third party website to maintain or increase their hotel profit margin. What Can Small & Medium Hotels With Limited Budget Do? This method is to create an awareness to travellers by giving them an impression that booking through official hotel website will have something different compare to booking through OTA. Besides that, a guest who stayed at your hotel who received this the perks will leave positive comments on social media which will again influence other web users to book through the official website. Read More on the guide for hotels to bring direct booking through the hotel website. By changing how you distribute your room inventories on OTAs (e.g. Agoda, Booking.com, Expedia) against your direct bookings will make your more profit. Experienced hotel revenue managers formulate strategy and distribution plan to reduce distribution cost in long run. Use OTA commission calculator to identify hidden costs and opportunities for your hotel. Major hotel chains like Marriott and Hilton have both funded marketing campaigns aimed directly at consumers to start educating them by telling them direct booking is better. Small and medium hotels should start doing the same. While small hotels with a very little budget cannot run advertisements on television and billboards, the cost of running digital marketing on Google is relatively cheap. Spending few thousands USD on Google Advertisement will reduce the reliance on OTA marketing in the long run. Read More about the benefits of promotion and how promo code can help increase your business. By giving special treatment for seasoned guest for your hotel, you are strengthening your relationship with a satisfied customer. Re-marketing to the same person who has already been to your hotel require less effort and less financial spending. Since only major hotel chains have a loyalty program, small and medium hotels can provide special promo code specifically target at returning guest to encourage them to come back to your hotel. Yes, you read that right, even though ultimately what hotels and homestay owners desire is to not pay commissions to any intermediaries, relying on OTA is still an acceptable option for hotels. The influence of OTA is as strong as ever, having a listing on OTA is still a way for less popular hotels to be discovered by travellers online. Learn About how Softinn has partnered with OTAs like TripAdvisors and Tuniu from China to broadcast hotels and homestay without extra charge on the merchant. After the guest has stayed at your hotels for the first time, probably through bookings from OTA, the hotel will need to convert them to loyal customers. How to Start Getting Direct Booking? And yes, he’s absolutely right about it. Head over to Softinn Solution homepage to learn how Softinn helps small and medium hotels and also homestays save more by having all the essential functions in the Softinn Extranet. The best part is there is no upfront payment needed. Softinn helps hotel or homestay build a website with booking engine and payment system so that merchants can focus on running their business without much hassle.